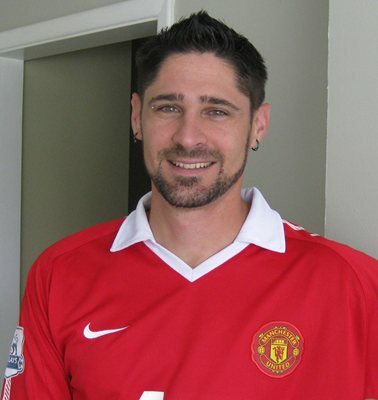 My name is Todd Shenk and I have been an English football fan since spending time in Ireland during college. I decided to follow in the footsteps of my host family and became an avid Manchester United supporter. At the time I had no idea about the rich history of Manchester United, or the significance of their historic run towards the Treble that season (1998-99). Many years later, I now consider myself part of the religion that is United. I rarely miss a match and will DVR any match that I can’t catch live. On a personal note, I spend my weeks working as a Mobile Therapist with children who have mental health and behavioral needs. I enjoy playing recreational sports such as soccer, volleyball, and softball. I also spend my free time playing video games, roasting coffee, and doing remodeling projects around the house. I started this blog to share my passion for soccer and provide a supporter’s perspective. I love to hear feedback from readers. Please contact me anytime at PremierSoccerChat@gmail.com.